Beef King has quickly made a name for himself. His first calf crop was the most talked about red sire group in the upper Midwest. His second and third calf crops have only solidified his potency. The first daughters calved this spring, maternal calving ease was excellent, udders were sound and very usable. The sons and daughters are extremely high performance cattle that have a lot of style and excellent structure. His sire, WS Beef Maker, has been the heaviest used Red Simmental bull 3 years in a row and we feel Beef King is his best son yet! He offers tremendous mating opportunities for Red Angus breeders looking to make F1s with explosive performance and increased yield. 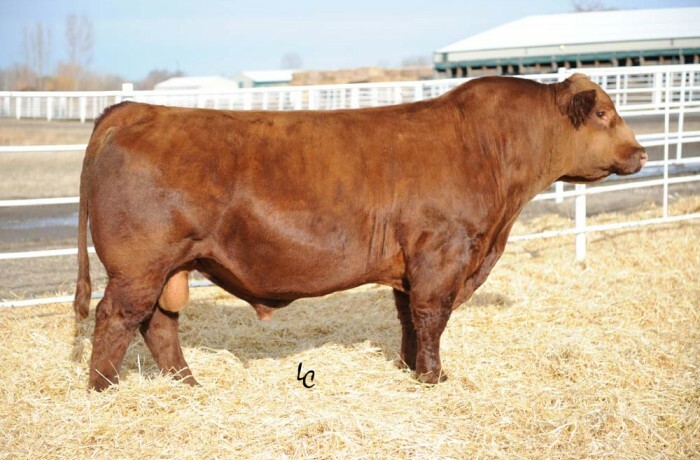 Beef King is now the feature red Simmental bull in the Genex lineup.